Sheep grazing rangeland in New South Wales. AN investment plan to benefit sheep, goat and cattle production across Australia’s rangelands will be developed in a project supported by Meat & Livestock Australia. The demand for forage by grazing animals across more than 1.9 million square kilometres of Australian rangelands will be the focus of the new project, which will assess total grazing pressure management and determine associated research, development and adoption needs. The project will involve producers, researchers, extension agencies, policy developers and natural resource management bodies working together across Queensland, New South Wales, South Australia and Western Australia. It will deliver a review of current knowledge, identify information gaps and develop an RD&A investment plan that will benefit rangeland livestock production, MLA said. The project is one of 18 new on-farm RD&A projects to receive MLA investment of sheep meat and grass-fed beef levies as a direct result of its regional consultation model. The cross-jurisdictional and cross-sector project is being led by Dr Cathleen Waters from the NSW Department of Primary Industries, Trangie NSW. “Total grazing pressure (TGP) is defined as the demand for forage by all grazing animals, both domestic and non-domestic, relative to supply. “Successful rangeland management relies on managing grazing pressure from non-domestic herbivores, adjusting livestock numbers in response to available feed, and strategically resting pastures,” Dr Waters said. “Currently there is a considerable, industry-based requirement for understanding the impacts of TGP management, particularly the costs and production benefits, but also landscape-scale impacts which have been difficult to monitor across large pastoral properties. 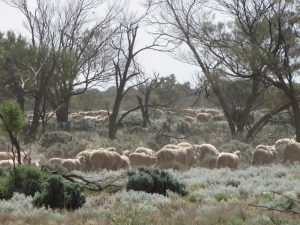 “This information is particularly urgent given the increases in investment of large areas of exclusion type fencing in southern Australian rangelands,” she said. “Industry and NRM bodies are requiring information on the impact of TGP management on ground cover within and outside TGP managed areas and the implications of the redistribution of grazing intensity to ground cover, plant diversity and animal welfare is of broader concern to the livestock industries and the public. MLA’s Sustainable Feedbase Resources program manager, Cameron Allan, said the project would strengthen MLA’s ability to target RD&A areas with the greatest benefit-to-cost ratios at farm, regional and industry level. “With the innovation in TGP management currently occurring in rangelands across southern Australia, this project will provide a coordinated and consistent review of current knowledge and identification of the most urgent RD&A requirements,” he said.